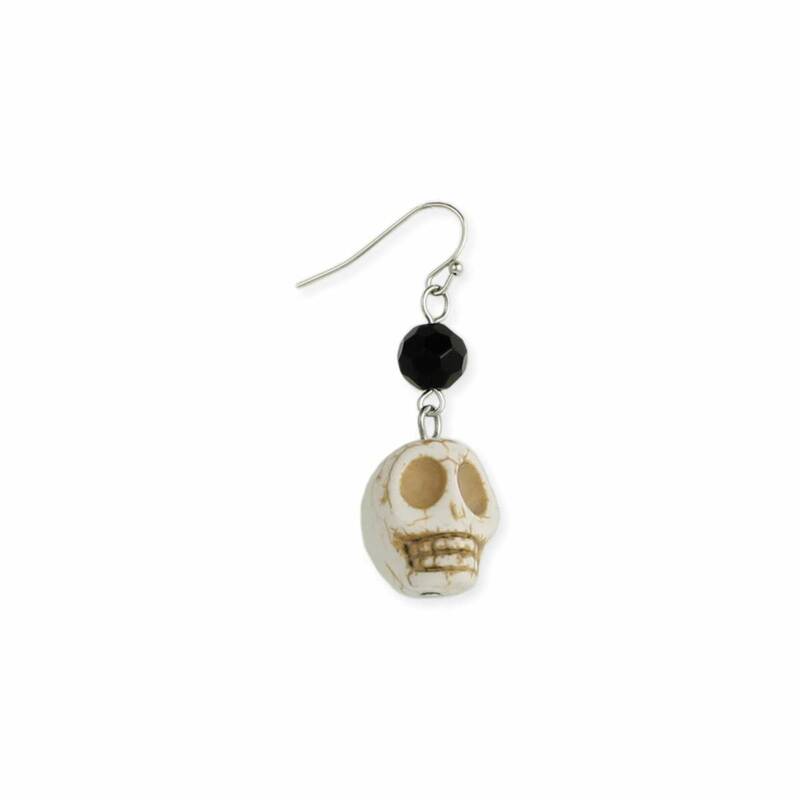 Carved white skull earring with black faceted bead. Measurements (approx.) 1 1/2" x 5/8"